The manufacturing landscape is ever-evolving. And so is the role of accountants. Unfortunately, colleges and educational institutions are not keeping pace, and although the majority of degreed accountants work in private businesses, they are often woefully under prepared. Traditional accounting education is still focused on auditing, taxes and basic accounting skills. Where it’s not meeting the mark is in teaching business strategy and finance. At the highest level, a financial professional is a key part of the management team and helps guide decision-making. Technical accounting skills are not enough for this role. This issue is considered of such importance that some accounting industry organizations are calling the situation a competency crisis. Specifically, how does this crisis affect manufacturing? Financial management integration with other departments is essential. 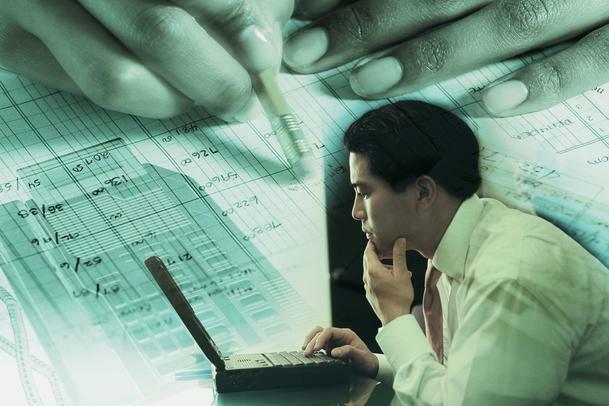 All too often, accounting is an isolated function focused on bookkeeping and reporting. Static reports tell the company how it performed but often don’t provide intelligence on the success of past initiatives. Nor do they suggest recommendations for the future. And what about non-financial data, such as employee hours or materials used? Skilled analysts can dig into the numbers to identify potential improvements, test scenarios and create accurate forecasts. Many companies are seeking productivity gains in the supply chain and manufacturing process. Without a thorough understanding of how all the parts work together, the challenges faced and the cost drivers at each step, an accountant can’t provide input as to optimal operation. Many of these processes use sophisticated information technology (IT), and accountants need to work closely with the IT department to access the information they need. In turn, this data can be used to analyze and model financial results. The impact of cost cutting or additional investment can be determined in advance. The sales and marketing departments also benefit from close collaboration with the accounting department. Before sales promotions are launched or products put on the market, the probable financial results need to be examined. For example, pricing is a tricky area affected by supply-and-demand factors often out of a company’s control. An adequately trained accountant can model projected sales at different price levels using sensitivity analysis. The results can then shape sales strategy and focus. The identification of dead products is also useful, as is the price point where the company begins to lose money. Accountants also need to move beyond the introvert in the back office image. As important participants in company operations, they need to be able to communicate with employees in all departments as well as in the boardroom. Presentation and writing skills shouldn’t be neglected. How can the accounting skills gap be addressed? Industry organizations are seeking to influence college curriculums, which is admittedly a long-term process. On the company level, CEOs and CFOs should rewrite job descriptions for all accounting positions with an eye to present and future company needs. Clear expectations will help employees chart their professional development and growth in responsibility. Supporting staff can help build necessary skills through employee-sponsored seminars, workshops and classes. Manufacturing has sought performance improvements in every aspect of sales and production. Now it’s the accounting department’s turn for an overhaul.